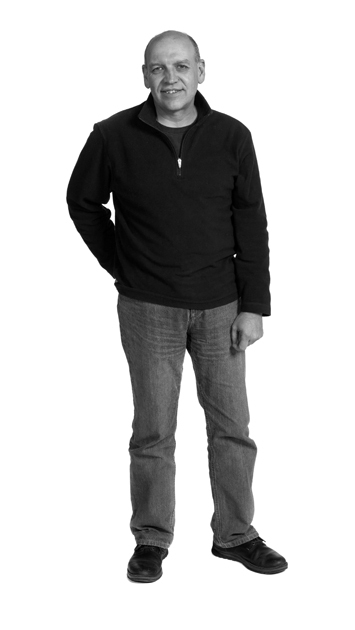 Mark has been working as a MOLA Senior Geomatician since 2008. As part of the team, Mark is involved in the management of spatial data throughout the archaeological process, from site work through to digitising, creating ArcGIS projects for analysis, and preparing figures. Mark is proficient in the use of survey equipment, from GPS kit to laser scanners, and regularly uses AutoCAD. He can also take samples for archaeomagnetic dating. Mark has carried out 3D metric surveys on several historic buildings, including parts of the London City Wall and Knole House in Kent. These projects involved techniques such as laser scanning and using an rEDM (reflectorless total station). As well as carrying out the surveys, he has worked with the resulting 3D data to produce sets of detailed plans and elevations. Prior to 2008, Mark worked as an archaeologist with the DUA from 1979 and as a Senior Archaeologist for MOLA from 1986. He was seconded to the Geomatics team from 2000. He co-authored “The development of early medieval and later Poultry and Cheapside” (MOLA monograph 38).